Nestled between the coast and the western ghats of India amidst 50 acres of virgin lush green woods, space and peacefulness that you can call your own and feel one with mother nature. Ayurveda Sanctuary combines the 5000 years wisdom of Ayurveda with Yoga to achieve optimal health and wellness. Based on scientific and clinical research, our programs and services are designed to balance and revitalize your mind, body and spirit. These programs can improve your health, enhance your quality of life, and reduce your risk of developing of diseases and disability. Experience clean and simply tasteful accommodation, leafy walks around the medicinal pond within the campus or hike up the hill to watch the sunset or even some rare species of migratory birds. Overall the campus is a soothing place. Take a break from the stress and bustle of everyday life, which is possibly the cause of much of your ill health in the first place, and spend a few days undergoing a treatment that is natural, refreshing and will put in perspective just how much our dietary habits and lifestyles affect our health. Vision: To create an environment where individuals and groups of people are healed, rejuvenated and re-energized to experience a healthy way of life. Mission: To assist individuals to heal, develop and maintain a healthy lifestyle. Our integrated approach to health and well-being combines preventive and curative, Ayurvedic and Yoga traditional approaches. Dosha pacifying therapy (Samsamana) is advised when the morbidity of Dosha is minimum. Bio-cleansing therapy (Samsodhana or Panchakarma) should be selected when morbidity of Dosha is severe or maximum, which can not be subsided by Samshamana therapy. Dietetics (Pathya Vyavastha). The type of therapy to be given to a patient is decided keeping in view the severity of the disease and the general condition of the patient. Ayurveda Sanctuary is created with special emphasis on promoting eco-friendly, energy-efficient and sustainable technologies. We are not only using Environmental friendly building products to build a greener world, but also pioneers in introducing the latest state of the art building materials and an import substite. The buildings and cottages in Ayurveda Sanctuary are built with a strong, durable and cost-effective material called Concood. Concood does not contain wood but is a better substitute for it. It look visually appealing while saving the trees. Food: The centre provides ayurvedic food. Vaastu: Vaastu has been applied for the buildings. I wanted to undergo a 4 weeks\' Panchakarma and I landed at the Ayurveda Sanctuary with lots of hope. I was not disappointed. The whole place is awesome! 50 acres all for yourself! The whole place is green and the rains added to the beauty. My interaction with Dr. Prashanth before arrival was very good and he made the reservations very easy. Once inside this Sanctuary, it was Dr. Manjula and Mrs. Anitha who took care of all my needs. The experience and knowledge of Panchakarma that Dr. Manjula carries is extraordinary. The pulse reading was spot-on. She was very patient in understanding my needs totally and planned the whole treatment program accordingly. My food was charted out separately by the doctor, but it was Mrs. Anitha Prashanth who took care of the menu everyday. It was wholesome and nutritious to say the least. Each person is considered individually and the menu prepared accordingly. That was great. After 4 weeks\' stay, I feel highly rejuvenated. My body and mind feels fully fresh and I can feel a \"new\" me now. Recommend this place to anyone looking for a good Ayurveda treatment program. Very disappointed - I booked and paid for Panchakarma but did not receive it, despite many emails where I was assured that I would. the Dr\'s did not even tell me that I would not receive it until I questionned them a LOT about what was going on. When I gave feedback that the treatment I was receiving was too gentle and not offering me anything they refused to change anything at all. Dr Prashanth asked me to leave a testimonial and I refused (knowing it would be negative). I made it extremely clear I did not want my name or photo on his website (he asked to take a video or photo and I said no). I have since discovered that he has put my name and photo on the Ayurveda Sanctuary website anyway and has fabricated a testimonial from me - this testimonial is a lie, it was not written by me. I would definitely NOT recommend trusting this organisation. My husband and I were looking for a place to relax and rejuvenate in a secluded place surrounded with greenery and Ayurveda Sanctuary turned out to be the perfect place for it. We stayed here for 4 days.We were offered a cozy cottage midst green tall trees, it had a nice vintage feel to it.The food was very healthy yet delectable, soups were just amazing.The surroundings were so calm and serene that one can clearly hear chirping of birds at anytime of the day. Consultations, yoga/meditation and therapy sessions with Dr. Manjula has not only helped in rejuvenation but also taught us a lot about Ayurveda way of living and its benefits. Dr. Prashanth made us feel as part of 'Sanctuary'; he accompanied us to the farm, sunset point, lake and also got us a telescope for star gazing. The hospitality extended by Dr. Prashanth and his team is commendable. The overall experience has been truly enriching as we thoroughly enjoyed each moment we spent in the 'Sanctuary' and would definitely revisit soon for a longer stay. Priya Ramesh, Sao Paulo, Brazil. I was planning to visit Ayurveda Sanctuary from April '13, but my busy schedule prevented me from going and that only added to the already stressed up personality of mine. By the time I reached the Sanctuary in September, I was bursting with stress and tension. I needed a peaceful atmosphere and here I was, in a tropical paradise that is the Ayurveda Sanctuary. It is 15 kms from the nearest town, but that is what I was looking for: secluded, peaceful place. The cottage I was offered was superb; the doctors: what can I say, they were simply fantastic. Their individual attention for each and every guest must be really appreciated. The Yoga and meditation were never in group; the guests were allotted specific timings so that each got his own individual asanas and individual time for meditation. The Panchakarma program along with meditation and pranayama really helped me. I feel fully refreshed and rejuvenated. Will definitely go back for yet another program. I would like to highlight my experience : The place is natures paradise with diverse flora & fauna,for a nature lover like me it was heaven.It is a 50 acre of lush green vegetation with migratory colorful birds & butterflies. The evenings would end at the sun set point ,it would be an awesome sight. The cottages are clean & cozy.The staff are very courteous & polite. The food is very simple & nutritious. The treatment was personalized by the professionals Dr.Prashanth Jana & Dr.Manjula.Morning yoga session , ayurvedic massages & followed by evening meditation would completely energize me . I enjoyed exploring the place by walk & would run in the mornings. I am back to the routine completely rejuvenated. Looking forward for my next trip. We feel we have got more than what we expected before coming here. Even it is a good place for children. Full marks for the treatments, meals and herbal teas, cleanliness and above all kindness of everyone at the sanctuary. This is our first experience with Ayurvedic treatment. We are highly satisfied with the entire ambience inside this lovely campus. The space, treatments, meals and herbal drinks, cleanliness, kindness and value for price was excellent. The overall impression is beyond our expectations. It was a great experience! First, your efforts before I arrived were so gentle. Then after arriving, I felt like entering a tropical paradise. I never got this silence and time for myself, but here I did. And this was what I was looking for! I was alone, I could enter into inner peace, but I was never lonely because there were always nice people nearby. And the therapists are really helpful, friendly and polite! And I was really happy about the amenities in the room plus the delicious, non-spicy Ayurvedic food! Thanks a lot, I feel good now!! My experience was extremely relaxing. I not only had a delightful visit, but also enjoyed the stay in the cool cottage. The therapy sessions were handled with a professional touch and the therapist who gave me this stress-relieving, calming care was respectful and above all soothing. Thank you for this and I will definitely come back again. The terrain made the experience all the more rejuvenating and made me more into nature. - Mr. Suraj Prabhu, USA. We really enjoyed our experience very much. This facility is wonderful. The cottages are very clean and have all modern facilities. The location in the midst of a tropical paradise is worth experiencing. The whole treatment procedures were very relaxing and soothing. The physicians and the staff are very caring. I would recommend this Ayurvedic retreat to anyone without hesitation. - Dr. Satish Prabhu, Clarkesville, USA. I visited Ayurveda sanctuary as and I was blown away by the special place after the visit. I had a 10 month old with me and Dr. Prashanth/staff took extra care make it a memorable stay. The food was excellent and the walk through the nature will make sure your metabolism is revved up! The Panchakarma program was highly rejuvenating and I wish we could stay for little more and will make it a point to visit the sanctuary once again in the near future. Joy of experiencing Panchakarma at Ayurveda sanctuary. Panchakarma treatment given here is a pleasant experience . Each and evey proceedure carried out during this treatment , was very helpful and it had healing too. We had a wonderful & relaxing time at ayurveda sanctuary. Only regret was we could not extend the stay beyond the 4 day visit planned originally. Prashanth (Owner) kept us well informed of ayurveda practices & benefits. We spent some time visiting old temples & beaches close by. Kids had a good time at the swimming pool which was free of chlorine. Staff members were very courteous. Food was simple & tasty. We will definitely be back for a longer stay. Hello, I entered Ayurveda Sanctuary in Puttur with my parents three months back with self doubt, apprehension, as I was not being able to walk, climb the steps, carry out my daily routine independently. It was already 5 years of sufferings. I discontinued my studies just because my fingers were unable to hold a pen to write. People around me sympathized, discouraged and even teased me; I was jealous of my friends and brothers; hated myself. Dr. Prashanth Jana suggested me to undergo three months of treatment at the Ayurveda Sanctuary, which included massages, internal medicines, yoga and counseling sessions. Today, after three months I’m (a new “Anuradha”) writing this with my own hands!!! I can walk, run, do all the routine works as you people do!!!!!! No more dependence, no more sufferings. I can do everything and anything now, without self-doubt. I’m continuing my studies. I’m grateful to god, Dr. Jana & Dr. Manjula for helping me get back to a normal life. I also thank the therapists who took so much interest in my recovery. Infact Ayurveda Sanctuary has given me a new life! 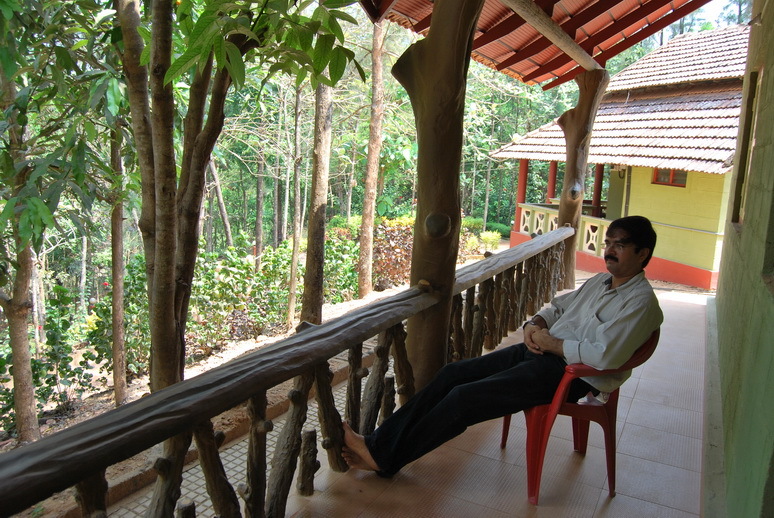 Ayurveda Sanctuary, Puttur, a place, which one should explore to find self. It is a place where you can relax, meditate, do Yoga, Get Ayurveda Treatment / Massage for your well being, and holiday. The Cottages are of very good quality and spec clean. It is located in a 50 acre lush green land. The nature view here is awesome. I was here to get a break from my daily hectic schedule and I am proud that I came here. Now I can work with more energy and uplifted health. Appreciate the doctors and the staff who are very friendly and exactly know what they do. The Place, Treatment, was excellent. I prefer each one of us has to experience the hospitality, the friendliness and the quality in treatment what Ayurveda Sanctuary, Puttur, provides. I strongly recommend Dr. Prashanth of Ayurveda Sanctuary puttur. I had the opportunity to visit Ayurveda Sanctuary Puttur and am happy to say that I made the right choice. Lots of greenery around, plenty of colorful birds and my cottage was in between all these in the midst of nature. The morning walks in the misty climate among the trees was enchanting. We had Yoga sessions in the mornings and Dr. Manjula was very good and caring. The support staff at the Sanctuary did a great job and the treatments were just perfect for my body and soul. No vehicle sounds, no pollution, it was a perfect getaway from the maddening Bangalore crowd. Dr. Prashanth was very helpful in arranging for all our needs, and also took care of our little excursions around. I have planned to go back again to Ayurveda Sanctuary this year end. 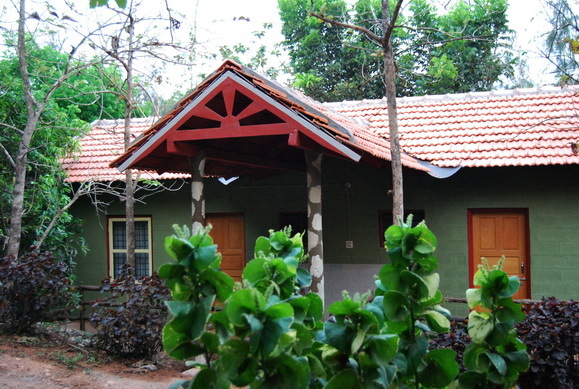 I had been to Ayurveda Sanctuary, Puttur with my family, and we had a wonderful time there. The location, the greenery within the Sanctuary, the cozy cottages all looked picture perfect. The smiling staff and the ever caring doctors made our visit worthwhile. Dr. Manjula was very good and even took special interest to prepare a menu customized to our body type. Her techniques in meditation and yoga needs special appreciation. Both my children enjoyed the swimming pool and the birdwatching sessions in the morning and evening. 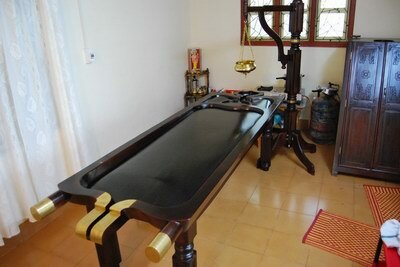 If you are looking for some authentic ayurvedic treatment programs, then this is the place. We definitely will go back again, and recommend the same to everyone. Thank you Dr.Prashanth for creating such a wonderful team. We wanted to take my mother for ayurvedic treatment for stress-related problems for some time now. We were looking for some place in Kerala, having heard a lot about such places there. But while browsing on TripAdvisor, we came across Ayurveda Sanctuary. We liked that all the reviews talked highly about the place, and decided to try it out, and scheduled a 1-week stay for my mother. Ayurveda Sanctuary handled the local transportation and provided excellent accomodation. An initial session was conducted to enable the doctors to understand my mother’s condtion, her medical history, and causes for her stress and their symptoms. They then put her on a tailor-made treatment program suited for her condition. The friendly and helpful staff took care of all the treatment in a very pleasing manner. The peaceful surroundings also aided my mother in relaxing further. Being in an isolated location, with no distractions such as TV, she had ample time to enjoy nature, and to immerse herself in the various books and other reading material that Dr. Prashant and his doctors provided. Excellent, nutritious, and healthy meals were provided according to the treatment plan. The one week went by, and my mother could readily notice the positive changes in her already. She was so impressed by the center that she decided to extend her stay for another week, which we now feel was an excellent decision. On her return, we could see thechange in her – she was much more relaxed and lively now. Thank you, Ayurved Sanctuary and Dr. Prashant and team, for the excellent care and treatment. 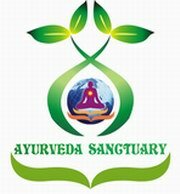 Would definitely recommend anyone wanting to have ayurvedic treatment to give Ayurveda Sanctuary a try. I am sure you will not be disappointed! I came here for a alcohol de-addiction program. Its a good peaceful place. I like your treatment method because you concentrate on each patient. Very concerning doctors and staff. It is a wonderful place for de-addiction and bringing a great change in an individual through detox panchakarma treatments, rejuvenation with yoga, pranayama and chanting/meditation. Thank you very much. Amazing concept. Hospitality and kindness was on top of the world. Overall impression is superb. Had a wonderful time of two weeks and it was a time to be at peace with oneself, lot of time for soul searching in nature's place. I enjoyed my treatments and the yoga so well as the chanting. Overall I enjoyed the experience and would look to renew same in the future. A big thank you to the friendly and joyful staff which made the experience more meaningful. A big thank you to Drs. Nayana, Shree and Prashanth for not sparing any efforts to make the stay a memorable one. One of the best place that we have stayed. Very reasonably priced. Service is excellent with good doctors who give you personal attention. I can't think of a better place to unwind yourself from the hectic city life and get yourself rejuvenated with traditional Indian medical methods. Too good. Excellent! We were treated as family rather than guests. Felt the stay was too short. We will come back again for a longer stay. Thanks for all the help. Well done! Quiet and peaceful place, ideal for meditation and introspection, and appreciation of nature. VERY GOOD AND QUIET PLACE. PERFECT TO RELAX and for the people who love being in nature. Everyone at the Sanctuary were very kind. It was much more than expected. Ayurveda Sanctuary is far out in the woods. Wonderful oxygen-saturated air. Woods makes it not so hot. The temperature is very pleasant, 17 - 26 degrees in winter. It is a healthy environment. Free from stress, partly because of the long distance from cars and industries, and partly because it is far from the nearest cell tower. Here you can really live healthy. Coconuts, which belong to the healthiest food you can get your hands on today, picked directly from the trees. They also grow bananas, pepper, vanilla, cocoa, papaya and cashews. Dr. Nayana has a strong sense of food and makes sure you get the best food that you can get hold of; pumpkin, pomegranate juice, etc., etc. "Everyone is so incredibly friendly." "I wish that everyone I love could get to experience this magical place." "They were genuinely interested in my health and welfare, and gave me lots of individual attention." "It was very special for me to get as much time for myself." "I appreciate the professional training and the instructors' vast knowledge of Ayurveda and yoga." I wish more people should get to enjoy this wonderful place. But that's not to say, you are weak. Then Ayurveda is your treat in the retreat. Escape into yourself, understand the way. Hope you come back some day!" Usually, places don't look as good as they seem to be on their website/photos and you end up being disappointed, but this place is amazing, in fact, pictures don't do it justice! This is my second visit, I have learned so much and I'll keep coming back. It feels like home to me, everyone is so friendly and helpful. Thank you for the great service, the enlightening courses and the beneficial health care treatments. As soon as I entered I was absolutely thrilled with my choice of this place and thanked Almighty for guiding me here. I did have certain apprehensions about the treatment on the first day, but my restless mind was soon put to rest by the immediate and efficient action taken by the doctors who were present. If anyone would like to enjoy bliss from the busy lives then, this is the place to go within and discover oneself. I am sure the green and serene atmosphere, the friendly people with smiles would make anyone feel like coming here again and again. We had an opportunity to explore the fantastic nature trails and some really well laid out treatment packages at the ayurvedic sanctuary last week. I was thoroughly impressed with the professionalism of the doctors & the staff. All our needs were addressed immediately and the ayurvedic treatments were the most authentic. The doctors were always available to help us explaining the intricacies of the treatments and answering our queries. 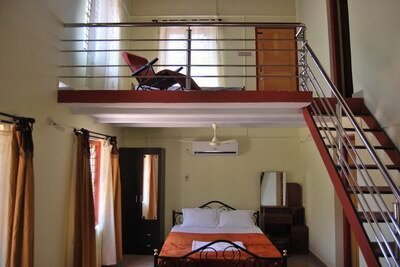 The rooms are well appointed with basic necessities and many options for a variety of budgets are available. I appreciate the professional training experience and the instructors deep knowledge about Ayurveda and Yoga. Helped improve my confidence level and I am extremely happy with the venue, food and learning environment. The program helped me to lose about 7 kilos weight in 4 weeks and I am very happy that I could spend many days in such beautiful place. Contact with wonderful people improved my well being. Ayurveda Sanctuary is the place where we can find ourselves and penetrate to listen to our inner voice. It is ideal place for learning and also for meditation, created with deep Ayurveda knowledge and feeling of the science of life. Will give a 6 out of 6 star rating for all the services including teaching of Ayurveda, kindness of staff, meals and value for money! I'm very happy for having the opportunity to spend these days with such amazing people and also for having more knowledge about Ayurveda. Hope to meet you again. Namaste! This has been an excellent experience: all the picture around is a perfect location to be in peace. The kindness of all the staff, Doctors, treatment staff and every body were kind and helpful. Also I would recognize the professionalism of the Doctors and the treatment staff. Everybody in the Ayurvedic Sanctuary has a kind smile on their face. Stayed for 58 days. The Panchakarma treatments and courses on Yoga Therapy, Ayurveda Lifestyle Management and Ayurveda Psychology were very professional, authentic, very inspirational and extremely enlightening. An experience that will change my life forever.